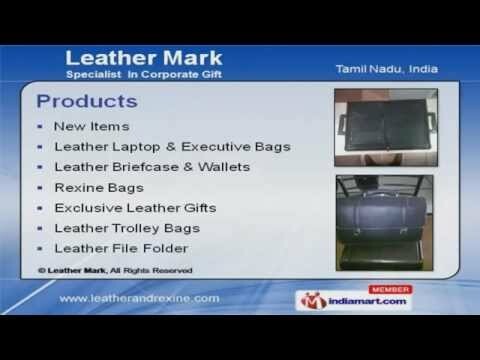 Welcome to Leather Mark Manufacturer & Exporter of Leather Bags & Rexine Bags. The company was established in the year 1999. Our robust infrastructure& experienced R&D department have helped us to earn present repute in the market. Competitive pricing, Design service & Paid samples make us the first choice of our clients. We are engaged in offering Leather Laptop Bags, Briefcase & Wallets. Our Leather File Folder 009 & Passport Holder Model No 003 A are a class apart. Along with that we offer Laptop & Executive Bags at market leading prices. Brown Leather & Laptop Briefcase Bags are some of our best selling products. We are specialized in manufacturing Laptop & Luggage Bags. Our Personalized & Corporate Leather Gifts are manufactured using premium grade raw materials.